Field-level commentary from people who have been in the same situations. Hosted by MLS and European veteran Bobby Warshaw. If the margins of victory aren’t small enough, try finding an edge when everything is brand new. Two players who have been through playing for an expansion team open up about the experience. Jay DeMerit, former USMNT defender and captain for the Vancouver Whitecaps’ inaugural season in MLS, joins former Whitecaps teammate and guest host Jeb Brovsky to discuss their year playing for a new franchise. After Minnesota United’s Jeb Brovsky wrote about the shortcomings of statistical analysis for whatahowler.com two weeks ago, our friend Oliver Miller-Farrell emailed George and Bobby to say that while Jeb wasn’t wrong, he might have been “stats-abused.” (Oliver works for Opta in New York.) So on today’s episode, Jeb and Oliver join Bobby and George to talk about how we quantify soccer and soccer players and how statistical analysis can benefit teams and fans. 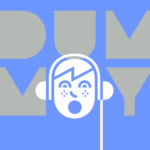 This week’s episode is a co-production of Dummy and The Play. 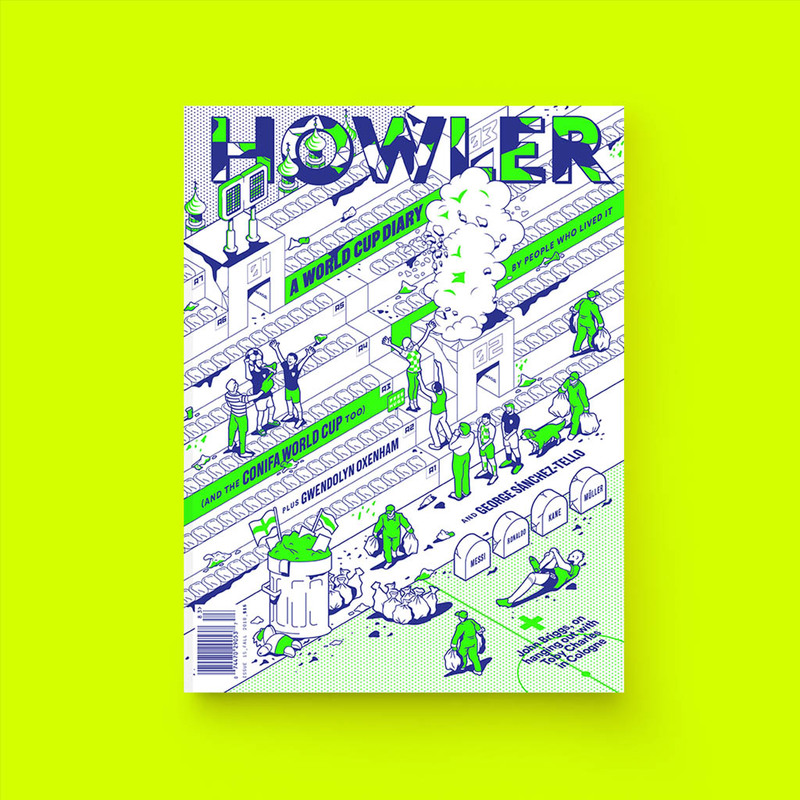 Save 15% on a Howler subscription with the code ILISTEN. Remember the days of the striker partnership? Cole and Yorke; Owen and Heskey; Henry and Anelka. What happened to that? It’s all about the single striker nowadays. Ever wonder how the forwards feel about the change? Do they like the changing landscape? We brought two forwards on the show to ask. Christian Ramirez players striker for Minnesota United and spent some time with the USMNT. Herc Gomez played in the 2010 World Cup and had a 15-year professional career in MLS and Mexico. They join host Bobby Warshaw to discuss the difference between playing two forwards up top and just one. Which system do they prefer? How does it change the way they play? What kind of striker is meant for each system? Being a goalkeeper is a tricky, lonely job. On this week’s podcast, we give a young, up-and-coming goalkeeper a chance to ask a seven-year MLS goalkeeper everything his heart desires. Charlie Lyon is in his third year as a professional and currently plays goalkeeper for Orange County SC. He joins MLS veteran Jake Gleeson, the current #1 goalkeeper for the Portland Timbers and his native New Zealand National Team, and host Matthew Pyzdrowski, current #1 goalkeeper for Helsingborgs IF in Sweden, to discuss what it takes to make it as a #1. What was the experience like getting your first start, and being named the starter? What has been the biggest change in your game, and mentality for you since becoming the starter? How do you deal with the the pressures of being a #1? What would you tell your younger self now that would have accelerated your development? What did you tell yourself to stay patient for your opportunity? What do you do both during a game and after when you had a mistake or a poor performance? How do you manage being with a goalkeeper coach that you do not see eye to eye with in regards to training and playing style? In his books The Black Swan and Antifragile, author Nassim Taleb touts the importance of looking past the noise and finding the actual signals, searching beyond the random events and finding the variables that actually matter. There are a lot of actions that take place, but only a few that actually mean something. Soccer is no different. We play soccer to win, and to win you must score more goals than the opponent. Winning makes us feel good and losing makes us feel bad. But when does the scoreline not tell the whole story? When should we not let the scoreline impact our future actions? Host Bobby Warshaw is joined by Cole Grossman, a six-year veteran with RSL, Columbus, and Stabaek, to discuss the impact of randomness in soccer and how it influences players’ actions and lives. The world watched as Radamel Falcao muscled John Stones off of a loose ball in a Champions League match and Stones stumbled to the ground. Our minds wandered to the days of Maldini and Nesta and Cannavaro. The quality of top center backs seems to have dropped dramatically. What’s happened? Do center defenders get developed differently now? Is defending truly a lost art? Or has the game changed? Host Bobby Warshaw is joined by two MLS veteran defenders to discuss the beautiful and thankless act of defending. Chris Wingert is in his 14th year as a professional and currently plays defender for Real Salt Lake. Jimmy Conrad played 352 professional games, including 27 for the US Men’s National Team. Chris, Jimmy, and Bobby discuss the nuances to defending and the minor details that make for a good defender, as well as tips for young players to improve their game. They also give their take on the current state of defenders across the world. A young professional has a steep learning curve to survive as a pro. He or she needs to learn as much as possible as quickly as possible. Usually, though, it’s tough to walk up to a veteran player and share your concerns. We give one young pro a chance to bridge the gap and pick the mind of a nine-year MLS veteran. Shane Campbell is in his second year as a professional and plays as a right back for the Pittsburgh Riverhounds. He joins host Bobby Warshaw and MLS veteran Ugo Ihemelu, a center back that played for Colorado Rapids, LA Galaxy, and FC Dallas over his nine-year career, as well as representing the USMNT twice. Shane gets to ask Ugo the questions that have been on his mind (and, of course, Bobby hops in as well). What’s the first thing a young player, particularly a defender, needs to learn to move to MLS and the USMNT? How do you deal with learning to play for a new coach? How do you adjust to moving to a new city? MLS teams have started their preseason training. We give you an inside look at life for a player during preseason camp. The guests tell stories from on the field and in the locker room. Zarek Valentin is in his 7th season as a pro and currently plays for the Portland Timbers. Jeb Brovsky played for the Vancouver Whitecaps, Montreal Impact, and NYCFC before moving to Minnesota United last season. Zarek and Jeb join host Bobby Warshaw to discuss the details of life for a player during the six weeks of preseason. What’s it like to walk in on the first day? What are the training sessions like? What are the goals that a team hopes to achieve before the season? What’s the best way to build team camaraderie? It’s the thing every athlete tries to avoid, but nobody can. Injuries get everyone at some point. Whether it’s minor and just slightly impacts the way you can move, or if it’s something bigger that sidelines you for a couple weeks or months, every athlete learns to deal with injuries. Our two guests both had long-term layoffs. U.S. Women’s National Team defender Kelley O’Hara missed 8 months after getting ankle surgery, and Stephen Keel sat out most of an MLS season with plantar fasciitis. They know the process of dealing with a major layoff, and they join host Bobby Warshaw to discuss the process of returning from injury, both physically and mentally, including the fear if they’d ever be able to walk properly again, not to mention even make it back into the lineup. What’s rehab like? Is it possible to prevent injuries? How do you deal with watching your teammates play without you? All of the pieces need to fit together. NYCFC head coach Patrick Viera has declared Andrea Pirlo will be his defensive midfielder. An undoubtedly world-class player, Pirlo has also been exposed for his lack of mobility in MLS. Pirlo can either be a huge asset or a major liability. We brought on three professional soccer players to discuss how they would deal with playing with Pirlo, and what they would do to cover for his deficiencies to bring out his incomparable talents. George John spent 6 years as an MLS defender, and joined Pirlo on NYCFC for a year. Michael Stephens played for the LA Galaxy for 4 years before going to Norway and then the Chicago Fire and SF Deltas. George and Mikey join host Bobby Warshaw to discuss how they would approach a very specific scenario like playing with Pirlo, a skilled player who isn’t very athletic, as the defensive midfielder in your team. What can they do to help? What decisions do they have to change on the field? To start the show, the guys banter about the decision a player makes to switch teams or leagues to get more playing time. Warning: there is some adult language and mature content this week. To spectators, the offseason brings the glorious gossip of silly season. To others, the players, it brings uncertainty. On the other side of our news feeds when we read about a trade or signing is a player, a person. One’s entertainment is another’s upheaval. We have three professional soccer players discuss what it’s like to live through offseason turmoil. Jeff Attinella of the Portland Timbers and Austin Martz of Orlando City B each went through offseason transitions this year and join host Bobby Warshaw to discuss their experiences. What’s it like when a player hears he’s been traded? How do you make offseason plans when you don’t know where you’ll end up? Among other stories, Jeff talks about the time he was sitting at blackjack table in Vegas and opened up Twitter on his phone to hear he’d been selected in the expansion draft. Good for them, Why not me? With MLS Cup around the corner, we asked two players that know a little about the teams for a scouting report. Chris Wingert plays for Real Salt Lake and faced Seattle three times this year. Chris played in two MLS Cups himself and knows what the experience is like. Michael Stephens spent the season with the Chicago Fire and went up against Toronto a few times, and Mike also won a couple MLS Cups with the Galaxy. Chris and Mike join host Bobby Warshaw to preview the game. Pedro scored a bender to the far post that we won’t quickly forget, but it didn’t happen in a vacuum. What happened to put Pedro in the position to take the shot? How did he get so open?! 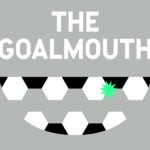 New York Cosmos right back Ryan Richter and Sky Blue FC midfielder Kim Decesare join host Bobby Warshaw to break down the play before it got to Pedro’s foot. Where were the Tottenham defenders? How did Matic get so much space to make the pass? Ryan, Kim, and Bobby talk about passing through the lines, turning in tight space, and the glory of the third-person run off the ball. It’s been a weird year and a lot seems to be going wrong in the world, but it’s the time of the year when we can remember what we can going right. For our Thanksgiving edition, we asked a couple pros what they’ve loved about playing soccer for a living, and the parts of the sport and the job that they feel grateful for. Yael Averbuch has 26 caps for the U.S. Women’s National Team and currently plays midfield for F.C. Kansas City. Stephen Keel had a 10 year MLS career with Red Bulls, Dallas, and Colorado. When Didier Drogba was told by his Montreal Impact coach that he wouldn’t be starting, he left the stadium. It makes most people uncomfortable and upset that he would leave his teammates like that, but it also hints at a key to what has made Drogba so good over the years. Herculez Gomez, currently a forward for the Seattle Sounders, has played with big names throughout his career and has been a part of complicated locker room situations. He joins host Bobby Warshaw to discuss whether Drogba was right or wrong, the reaction from the Montreal head coach, and what it all says about the mild nature of American soccer. It’s playoff time in MLS. A player and team work all year for one game. When the playoffs roll around, it comes down to a single match to keep playing or go home. How does it feel when everything you’ve worked for all season, perhaps everything you’ve worked for your entire life, comes down to one night? Andreas Aalbu, now a midfielder for Fredrikstad in Norway, played in a promotion final in the Norwegian playoffs two years ago for Baerum SK. George John was on an FC Dallas team that lost the 2010 MLS Cup to Colorado. They join host Bobby Warshaw to discuss the emotions of being a part of a do or die game. It takes a special person to stand all alone and be the last line of defense. Two professional goalkeepers break down the mindset, the training, and the camaraderie of being a goalie. Kevin Hartman played over 400 games in MLS and held pretty much every record possible for a keeper and Matt Pyzdrowski currently has the #1 shirt for Helsingborgs IF in Sweden. They join host Bobby Warshaw to discuss the nuances of the role that most fans don’t see and the day-to-day training and preparation that keepers go through during the week. Matt and Kevin give the kind of insight into one of sport’s most unique positions that only a person who has done the job can provide. Two of Bradley’s former players join to talk about being coached by the new Swansea City manager. Jimmy Conrad played under Bradley for the U.S. Men’s National Team and Cole Grossman was with him day-to-day at Norwegian club Stabaek. They share stories with host Bobby Warshaw that illuminate what makes Bradley a unique and successful coach, and they highlight a few issues that could arise as he meets his latest challenge in the Premier League. 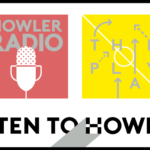 This week on The Play, Bobby (midfielder, Harrisburg City Islanders) is joined by Matt Pyzdrowski (GK, Helsingborgs IF) and George John (former MLS defender) to, well, just shoot the breeze about soccer. With the international break, they took the chance to each pose a question to one another and try to open the curtain on the feelings of being a professional soccer player. What’s your biggest fear that’s held you back on the field? What is the best piece of advice you’ve ever gotten from a coach? Who’s been your favorite teammate? 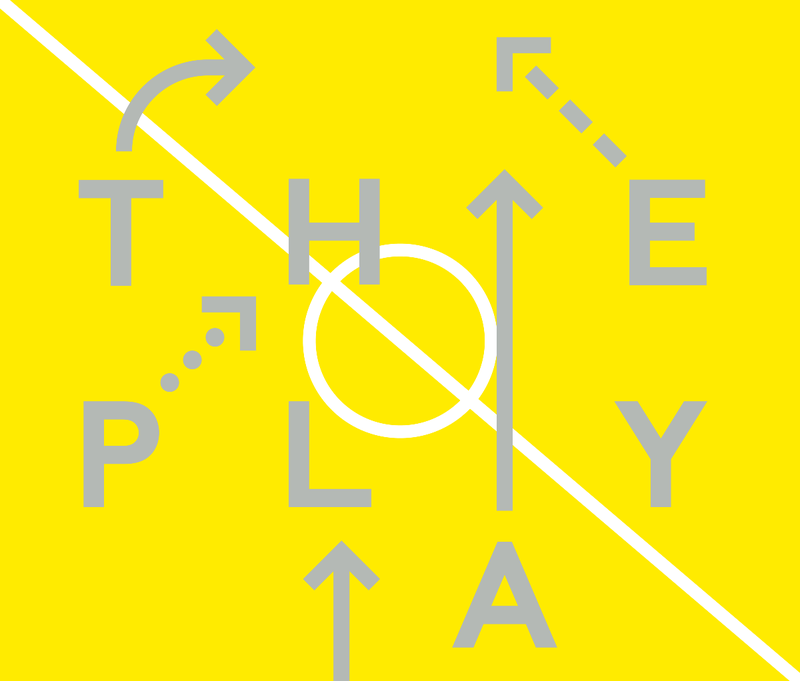 This week on The Play, Bobby (midfielder, Harrisburg City Islanders) is joined by Eric Alexander (midfielder, Houston Dynamo) and George John (former MLS defender) to discuss the mood around the locker room as the playoffs approach. Do players feel the pressure of the playoff chase? Do training sessions change? Is anything different for a team around October than in April?